Will the Trump administration be able to thread the needle? Venezuela is amid a humanitarian crisis. Our Latin American neighbor has suffered through a pinwheeling economy dependent on oil. That and years of authoritarian leadership from former President Hugo Chávez and now his loyalist President Nicolas Maduro have led to widespread hunger and hyperinflation. Reports have depicted Venezuelans rooting through refuse for food, suffering through power outages and enduring a health system near collapse. Weekly salaries might cover the cost of a meal. Faucets are dry, finding clean water is now a struggle and disease is spreading. Last week, Maduro finally took steps to lift an embargo on Red Cross relief. That hasn’t stopped waves of Venezuelans from fleeing, while the government cracks down on protesters and blames the chaos on everyone but itself. 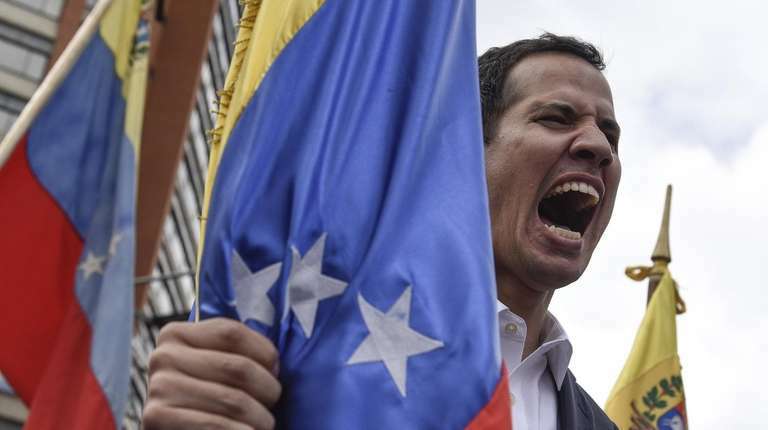 It has been particularly tense since 35-year-old opposition leader and legislator Juan Guaidó in January proclaimed himself president-elect. The United States has been among more than 50 countries supporting the newcomer, in the hopes that someone can bring order. Sober U.S. leadership is necessary. That’s because of America’s role as a world superpower, its close ties to a nation in our hemisphere, and the fact that Maduro and his government have welcomed Russian planes and personnel. America’s immediate goals must be to discourage bloodshed and find a way to help stabilize a country with millions of desperate people. Most challengingly, top diplomats should find a way to do this without intrusive military intervention. Latin America has had enough U.S. tampering in the past and Maduro plays into this history. In a tweet Thursday he called the opposition “diabolical puppets.” Will President Donald Trump’s administration be able to thread the needle? With intervention hawks like National Security Adviser John Bolton and Iran-Contra veteran Elliott Abrams, Trump’s special envoy for Venezuela, at the negotiating table, that might be dicey. Trump needs to display a steady hand here. For the sake of Venezuelan citizens and Latin American stability, it’s time for the U.S. to lead.